A walk along South Congress Avenue in Austin, Texas is never dull. A combination of old hippies, young kids, and business execs crowd the sidewalks, perusing small boutiques to escape the sun for a few minutes. 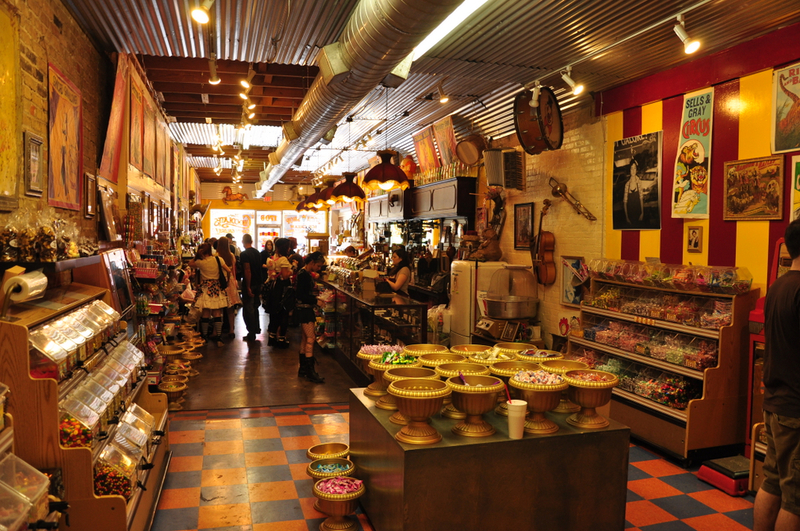 The greatest respite from the heat and crowds is the Big Top Candy Shop, a time machine of a store that is a sight for sore eyes of any age. 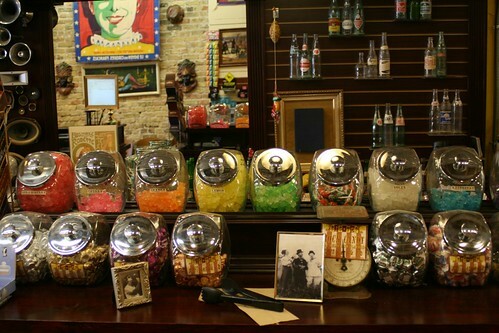 Big Top Candy Shop is as old school as it gets. Shelves are lined with classic candy, many that were popular during the Depression Era (You know, the one in the 1930’s) at the low price of a nickel or a dime. Children are given empty pails that they quickly fill with their favorite candy. 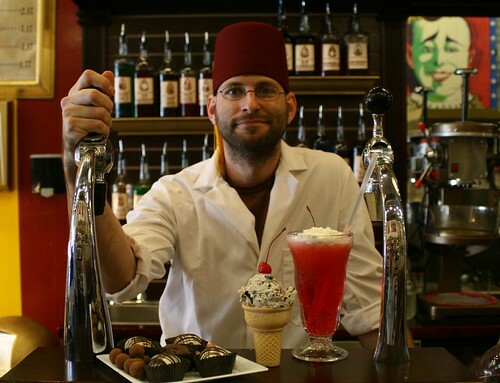 A long, heavy oak bar lines the southern wall, a soda jerk standing at attention to make an egg cream or a chocolate milkshake. 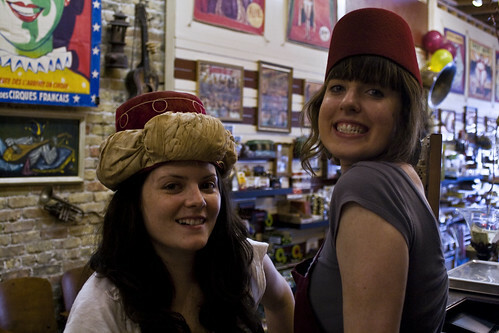 It’s all in the details at Big Top, all the way down to the cute candy girls with their fez hats! This entry was posted on March 6, 2009 at 5:19 pm and is filed under Economy, Food. You can follow any responses to this entry through the RSS 2.0 feed. You can leave a response, or trackback from your own site.